A firm has been fined over the death of a tipper truck driver, who was working in South Yorkshire when his vehicle overturned. Alan Clements was tipping waste material onto a stock pile at the former Croda tar works in Rotherham when the accident happened. He had reversed up the slopes of the pile, at the site on Carlisle Street, in Kilnhurst, and raised the tipper when the truck toppled over sideways and he sustained fatal chest injuries. Sirius Remediation Ltd was the contractor managing the works, which involved using the spoil from other sites to raise the ground level, when tragedy struck on September 17, 2013. The Health and Safety Executive (HSE) found there had been nothing to mark the sides or top of the slope, like beams or barriers, to prevent vehicles getting too close to high and possibly loose edges. An investigation by the regulator also showed there had been a failure to carry out a suitable and sufficient risk assessment for the safe formation of the stock pile. Sirius Remediation Ltd, of Langley Road, Durham, admitted breaching the Health and Safety at Work Act 1974. 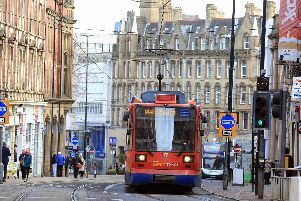 The firm appeared at Sheffield Crown court on November 23, when it was fined £45,000 and ordered to pay costs of £10,000. After the hearing, HSE inspector Medani Close said: “Stockpiling should only take place under the control of a suitably qualified temporary works manager or coordinator as it can be a high risk activity if not properly managed.